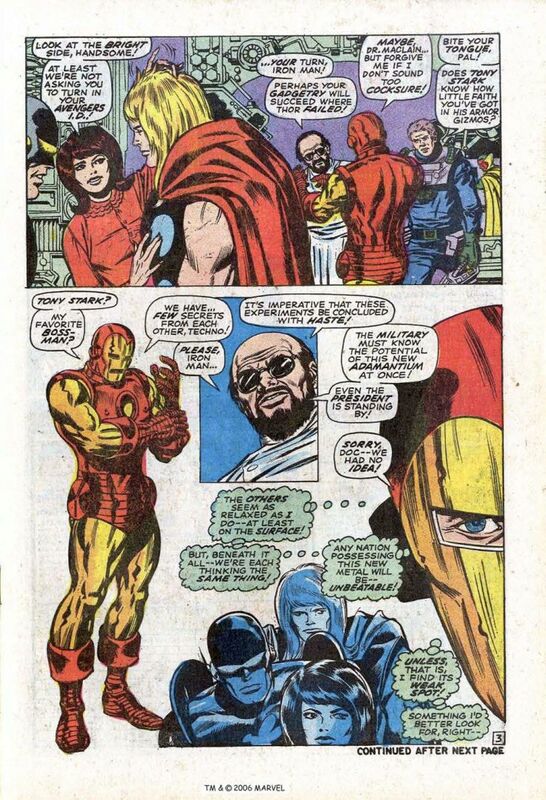 Ultron created synthozoid Vision as seen in #57-58. How did Vision or Ultron convert the immutable adamantium into Ultron's new body? The answer of course involves the molecular arranger as #68 will confirm. Dr MacLain may have invented adamantium here, but it must have also been invented earlier by someone else to have been introduced into Wolverine's skeleton and claws. In CA#303 we will learn that Dr MacLain also accidentally created Cap's round shield in WWII from a mixture of steel and vibranium. He was never able to repeat the process. It is said that he found adamantium during an attempt to do so. (The continual date-shifting of early Marvel away from the time of WWII Timely makes MacLain's involvement in both less feasible.) I'm giving this issue a 5 for some dramatic artwork, and for turning Ultron into the world-class villain he will be in most of his future appearances. 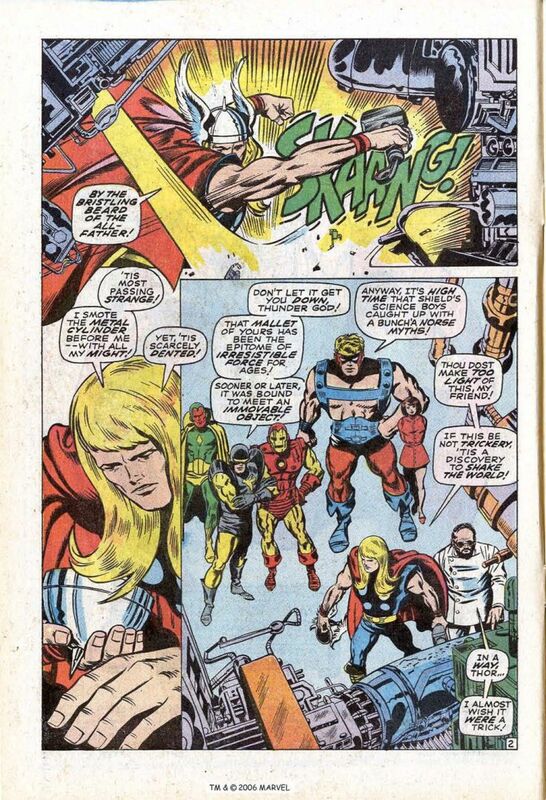 Before this issue Iron Man and Thor had kept mainly out of Avengers issues since #16, except for Annuals and special occasions such as inducting Black Panther and Vision (and trying to induct Spider-Man in his Annual #3) and the wedding of Hank and Jan. Since quitting in #47 Cap has also restricted himself to such visits, plus time-travelling to view Bucky's death in #56. But this issue starts a long almost-continuous run of such guest appearances from 1 or more of the big 3. I guess such issues sold better, because from #93 they will morph from guest stars to regular members. 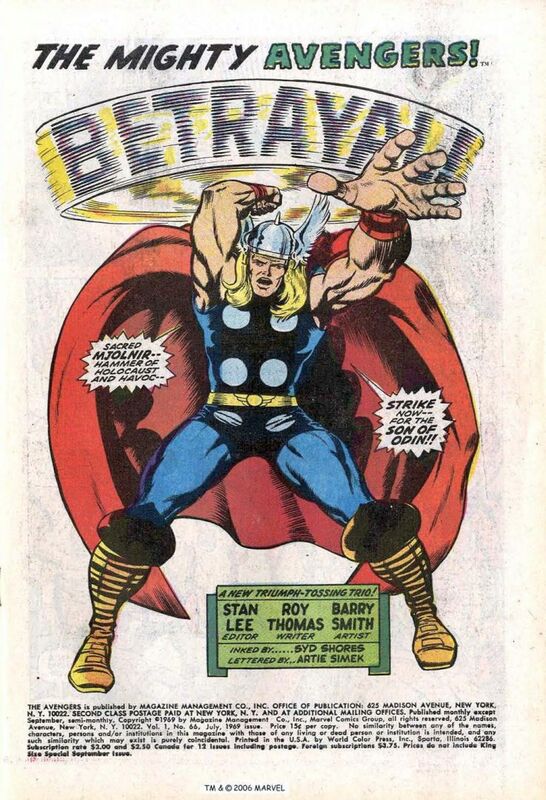 John Buscema has been taking a holiday from Avengers. Gene Colan drew #63-65. Now Barry Smith does #66-67. He has already progressed from the crudity of X-Men #55 via Daredevil #50-52 (and several covers) to the Steranko-like SHIELD #11-12. But the lushness of Conan is still more than a year away, and stories in fantasy anthologies like Tower of Shadows lie before then. Hank and Jan returned from honeymoon in #63 where Hank decided to remain as Yellowjacket and just use his shrinking power, with stingers like Wasp's. He believes growing to giant-size contributed to his mental problems in #59-60. Despite this Hawkeye used Hank's old growth serum to take on the Goliath identity, the better to rescue his love Black Widow. He won't revert to Hawkeye until #98. Wasp has abandoned her recent regular costume since last issue, and reverted to frequent costume changes. She wears 2 different ones in this issue, and yet another in the recent Captain America #116. 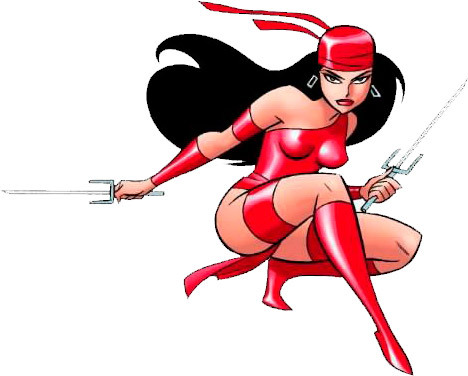 (Her initial clothing this issue on the helicarrier may in fact be a dress not a costume.) Black Panther isn't here. This isn't explained in this issue, but he's temporarily left the Avengers to deal with problems in Wakanda until #73. However that won't stop him guesting in #68-71. Captain America also doesn't show up. The Avengers were summoned to the SHIELD helicarrier at the end of CA#116, where unbeknownst to them Cap and Red Skull have swapped bodies. The current Avengers Goliath, Vision, Wasp and Yellowjacket, together with Iron Man and Thor are in the SHIELD helicarrier to test a new substance created by Dr Maclain. Adamantium proves resistant to attacks from Thor's hammer, Iron Man's repulsor rays and Goliath's fist. It can only be affected by a molecular rearranger. Vision is acting strangely. Later he breaks into the helicarrier and steals the adamantium. Back at Avengers Mansion a computer-controlled training session almost proves fatal for Iron Man. Then Vision appears and attacks them. But he is only keeping them busy while his creator Ultron-5 uses the mansion's computers to build himself a new adamantium body as Ultron-6.